Natasha's Experience:#WhatDidIJustRead because I’ve never read anything like YOU. This book was compelling and so thought-provoking. I was second-guessing my psyche the entire time. Seriously. Joe is crazy in love. It only makes sense for Beck to reciprocate, right? There were times when Joe would do or say something that was so entirely insane to think about, but I found myself nodding along, thinking “Oh yeah, that makes sense,” to then thinking, “Wait, why do I think that makes sense? Why am I agreeing with Joe? !” That was probably the craziest part of this entire reading experience. I found myself generalizing a lot of Joe’s actions because everything he does is (in his head) logical and obviously he has to go through Beck’s privacy because how else is he supposed to know when and where to bump into her? Duh. This book fascinated, yet terrified me all at once. Do I want a Twitter anymore? Probably not, but I’m obsessed with tweeting. Not as obsessed as Joe, but you get the point. Love can make you do some crazy things. Or in Joe’s case, it can bring out your inner-stalker. The lengths that he goes to secure his #everythingship with Beck is admirable (maybe I’m crazy) as it is insane. My book hangover is in full effect. I really want to read another book, but I don’t really want to read another book. My head is a mess. 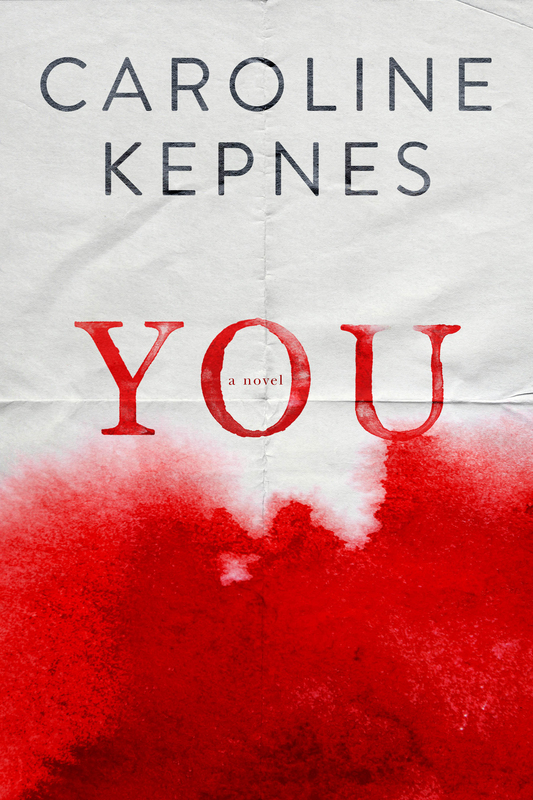 Thank you, Caroline Kepnes. You're #crazytalented and #insanelyinsightful. If you want to lose your mind, definitely check out YOU.